Once you've properly spaced your characters, it's time to optimize the spacing around specific pairs of characters. Ready? So, click on the button Advanced then Kerning. 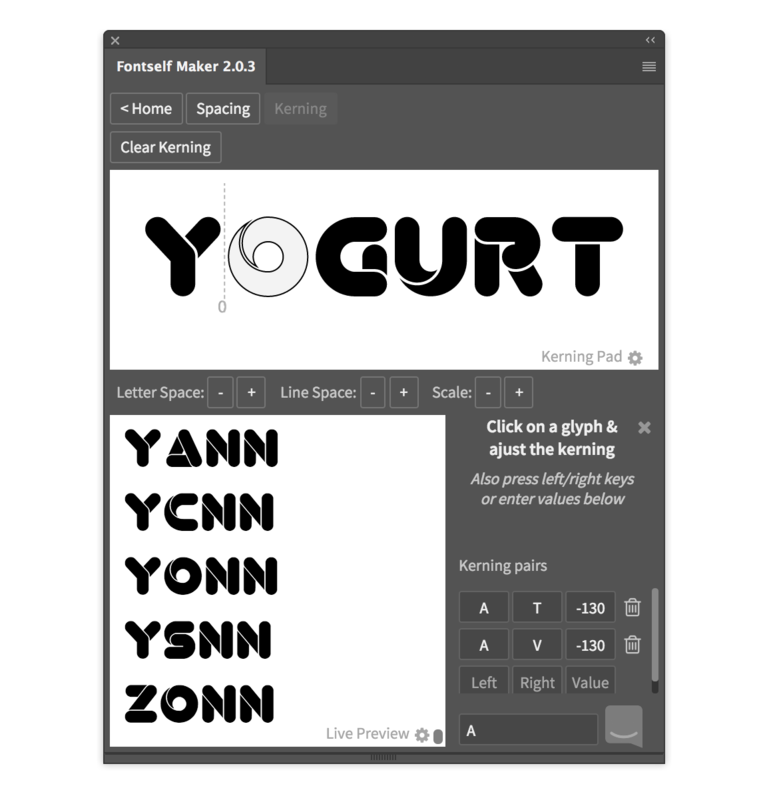 To create and modify kerning pairs, you can interactively move glyphs (the quick way) or edit table values (the precise way). First, search for visual misplacements in the left side preview text. Once you've found a specific pair of letters that requires custom spacing, type some text in the Kerning Pad to display the kerning pairs you want to adjust visually (you can also copy/paste specific words from the bottom left preview). This will automatically create or edit the kerning pair and update it to the bottom right kerning table. To enter specific kerning values or create a new kerning pair without having to manually interact with a glyph, simply enter the exact characters and values in the kerning table. All changes will automatically be updated in all previews. Just remember to save these changes by reexporting your font (note that it's always worth keeping backup files of different font file versions). Quick tip: need to edit a specific kerning pair? Don't scroll the table to find it: just enter the first character in the Filter text field at the bottom right. 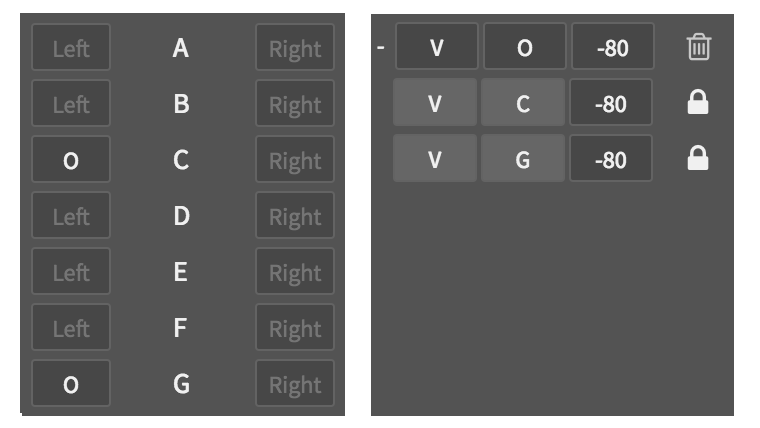 To adjust the values of any specific alternate, you can either click on a glyph in the Kerning Pad and pick a variant for a visual adjustment, or just enter any character in the Kerning table and pick from the alternates list. For alternates that feature similar shapes (like color variants), it is recommended to leverage kerning groups so all the alternates' kerning values are automatically set to match their parent's glyph. You can now bring all the kerning pairs & groups from another font file into your current typeface. More details in this article. When you need to kern many similar glyphs at once, like A, À , Â and Á , you can now save much time by linking the kerning values of all accented glyphs to a single one, like the original A. Now how about linking only the left sides of your C , G and Q with the kerning values from your O - but only when it's the second letter of a kerning pair, like VO ? Well, kerning groups can also be used to constrain a single side of glyphs. 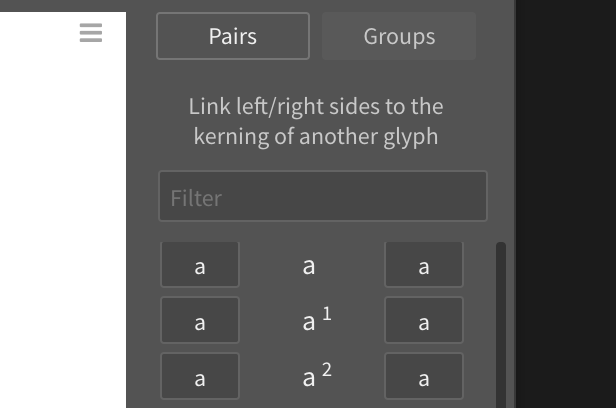 For instance, you can link all kerning values related to the left side of the glyph Æ to the pairs ending with an A, like TA or VA , so you don't have to kern TÆ or VÆ . 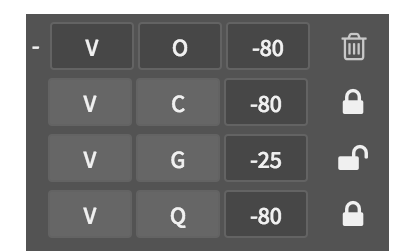 The kerning table now contains 2 tabs, one for Pairs and one for Groups. We recommend to start creating your kerning groups before making kerning pairs in order to avoid duplicate work. A kerning group is created when you assign a specific character (the group master) to the left side or the right side of another glyph, based on their shapes' similarity. A kerning group starts having an impact when you create a new kerning pair (the master pair) that involves the master character. All the group members will then get the same kerning value, and you can view all the sibling pairs that have been generated by clicking on the + sign on the left side of a master pair. In other words, you can tell Fontself that the left or right side of a glyph should get the same kerning value as another character, thus leading to precise adjustments. Want to learn more? Check these great resources! Special thanks to Robert Bell for allowing us to showcase his Chromage bold font in the sample screenshots.